Laboratory of Molecular Pathology, Department of Health Sciences, Università del Piemonte Orientale "A. Avogadro", Novara, Italy. 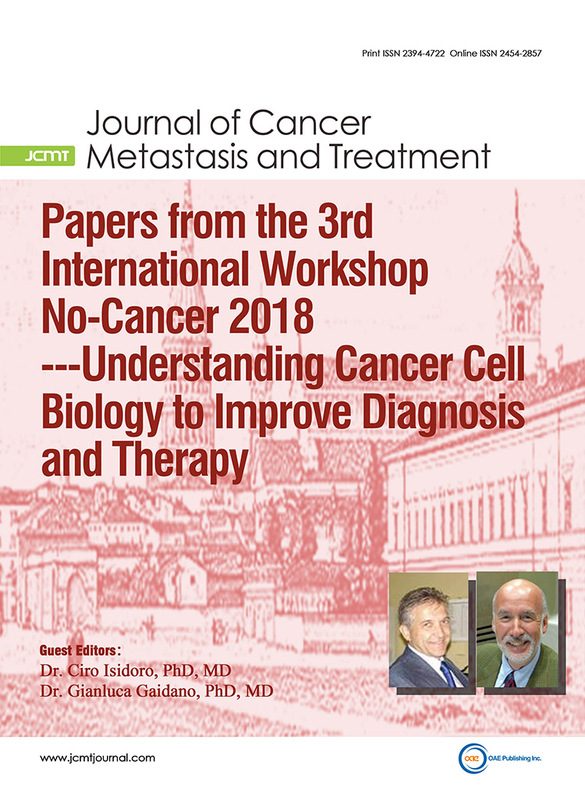 This Special Issue of Journal of Cancer Metastasis and Treatment is dedicated to the proceedings of the Third International workshop NO-Cancer 2018 “Understanding cancer cell biology to improve Diagnosis and therapy” held in Novara (Italy) during October 28-30, 2018. As outlined in the title, the focus of the meeting is to discuss the most update knowledge on cancer cell biology, having clear in mind that only a deep understanding of how cancer develops may lead to further improvements in early diagnosis and effective cure of cancer. To this end, emphasis will be given to the peculiar metabolism of cancer cells, the importance of the stroma and of the inflammatory-immune response in Cancer, the role of oncogenes and tumor suppressor genes and of Non Coding RNAs in the pathogenesis of Cancer and in the metastasis process, the role of nutrition and of the microbiota in cancer prevention, the molecular biomarkers to predict the prognosis, the genetic alteration predisposing to Cancer, and to the emerging technologies for cancer diagnosis and the clinical trials with targeted therapy. 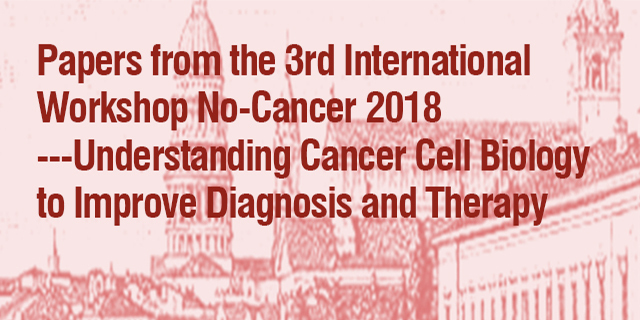 This Special Issue consists of a selection of the papers presented at the Conference “NO-Cancer 2018” and will represent state-of-the-art and up-to-date coverage of our knowledge on Cancer cell biology and on emerging diagnostic and therapeutic tools. Invited Speakers and presenters selected for short/flash communication can contribute to this special issue with either Commentaries, Original articles and (mini) review articles. Inclusion of schemes, Figures and Cartoon summarizing the results is strongly encouraged. An ‘ad hoc’ editorial team will oversee the peer review of research and review articles. Autophagy, Biomarkers, Cachexia, Cancer Associated Fibroblasts, Cancer metabolism, Clinical trial, cell death, Drug resistance, Epigenetics, Ketogenic diet, Warburg effect. J Cancer Metastasis Treat 2019;5:5.